Our science topic is all about forces. We shall be visiting Paultons Park to see how forces are used on the rides to create exciting experiences for the visitors. We shall use our research to form our own investigations about forces. The forces we shall be focusing on are friction, air resistance, water resistance and gravity (including learning about the scientists Newton and Galileo). Our science topic is all about the human body. 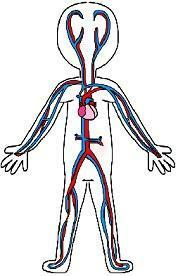 We are going to be carrying out investigations to help us learn about the human body. We will discover how oxygen enters the blood stream and how the circulatory system works in order to help our muscles and organs work to keep us alive. To support our understanding, we will also be learning how to carry out the lifesaving skill of CPR. During this unit of work, linked to our Geography topic, we shall be learning about the differences in the lifecycle of a mammal, amphibian, insect and bird. We will also be studying the reproduction in some plants and animals. Long term study. What changes will happen to a pot of soil over a year? We have placed three pots in different locations around the school and will be observing what happens. The starting state of our pots. Pot 1 - In the allotment. Pot 2 - Beside Maple class. Pot 3 - In the raised flower bed.